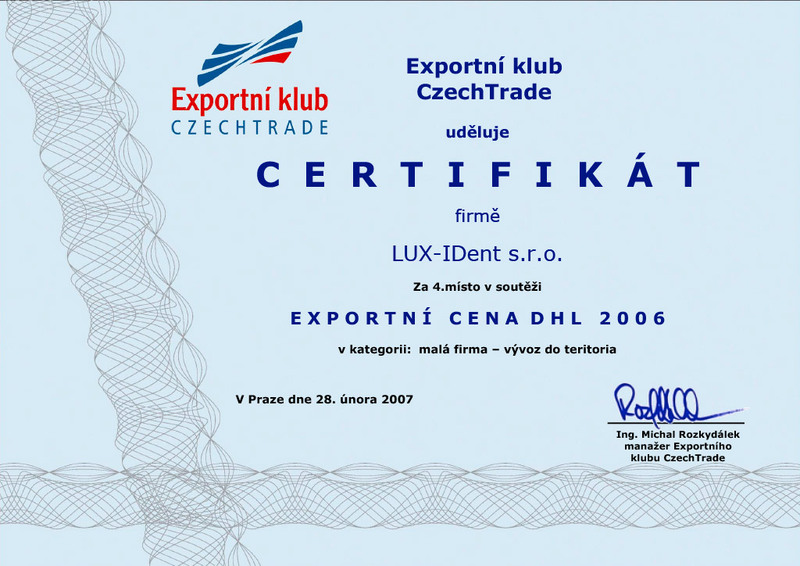 LUX-IDent entered the RFID transponder market in 2002 as a part of the privately owned LUX Group which built on a long electrical engineering industry tradition in Lanškroun, Czech Republic. Anticipating the growing importance of contactless applications, the company started developing, producing and marketing transponders based on Radio Frequency Identification Technology. To date we have supplied the market with more than 100 million transponders for applications ranging from access and security to industrial logistics. 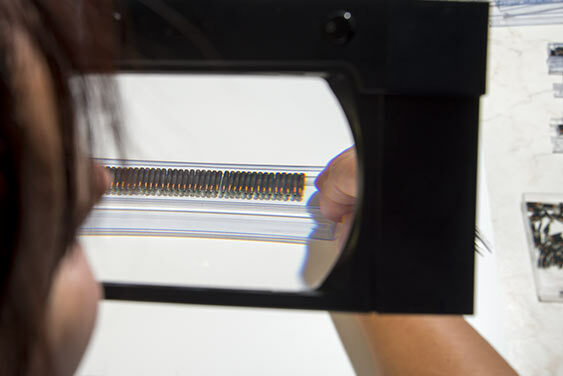 Our core competence lies in the production of RFID inlays in 125 kHz and 13.56 MHz frequency bands. 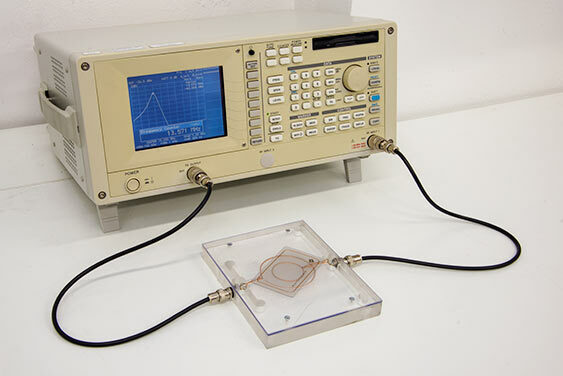 Thanks to the in-house machine design and the broad interdisciplinary knowledge of our team, we can combine flexible antenna design and application-specific encapsulation while maintaining a leading price/quality ratio. Making use of our strategic location in the heart of Europe, most products are exported to EU countries, with a growing clientele in the USA and Canada. 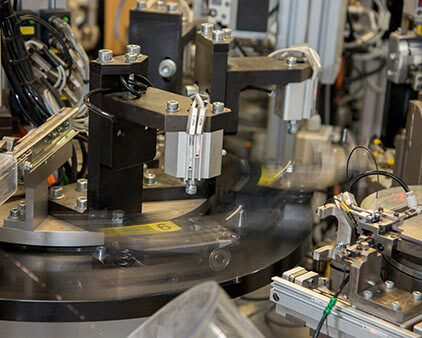 Our coil winding technology gives LUX‑IDent’s transponders an outstanding variability to meet different customers’ needs. We produce non‑capsulated transponders that range in diameters from 5 to 120 mm. While we are most often asked to produce round shaped coils for our clients, we also make different shapes and formats upon request. Sophisticated coil winding combined with fine frequency tuning gives LUX‑IDent transponders an excellent read/write performance. 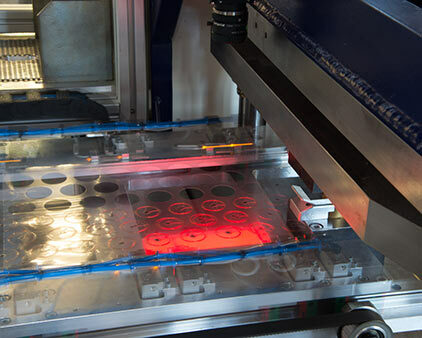 In 2015 we implemented wire embedding technology, allowing us to produce larger amounts in a shorter time. Etched antenna technology is used for HF and UHF label inlays and labels, available in a range of standard designs or designed individually based on customer’s request and chip type. For special projects we are open to discuss options for using other types of chips and chip modules. Our antenna portfolio covers various formats and shapes. Our engineers are ready to help you to design your own antenna upon request. 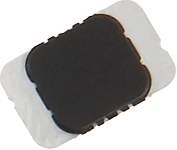 More than 50 different chip types from several semiconductors are offered and supplied by our company for your convenience. 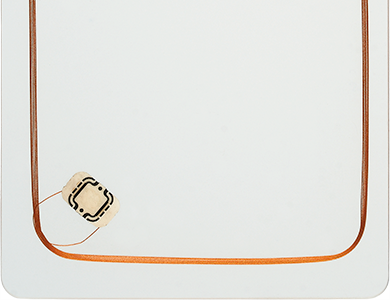 A wide range of transponders, RFID chips, antenna designs and packaging are produced in both low and high frequency. We are happy to offer samples and a customized small-scale series of transponders that some other producers may find difficult to manage. We take pride in our products which are all manufactured in the Czech Republic. Which allows us strict production process and delivery time control thus ensuring guaranteed consistent quality with outstanding professional communication. Our central European location greatly aids logistical planning and ensures rapid delivery within Europe. Even American customers can expect first reactions to their quotation requests on the same day. The ownership structure is clear and simple. 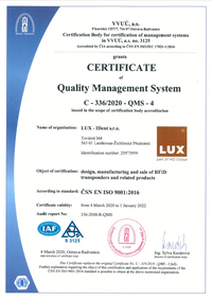 We are a privately owned Czech company and our clients are looked after by the top management. It is essential for us to know our customers in person and we consider it a great bonus that we’ve become friends with many of them. In the past few years we have commenced a tradition of hosting RFID networking events (Room for Informal Debates), held in Prague and other attractive Czech locations, which attracted very positive feedback. Events like these help to take customer/producer relations to an entirely new level. It is our intention for the future to expand our activities in the global market while maintaining what we value most: the trust of our clients based on our commitment to consistent quality, customer needs and genuine personal care. First participation at the Cartes North America exhibition, Las Vegas, U.S.A.
Quality assurance is the key to LUX-IDent’s success. 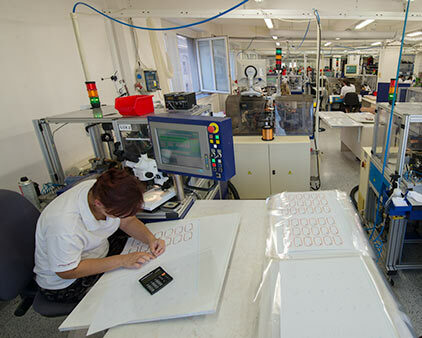 To maintain a high quality control and cost effective level, whilst offering high volume production, our transponder manufacturing processes are all located in one factory. Our quality production procedures ensure high standards and value from the basic materials to the finished product. 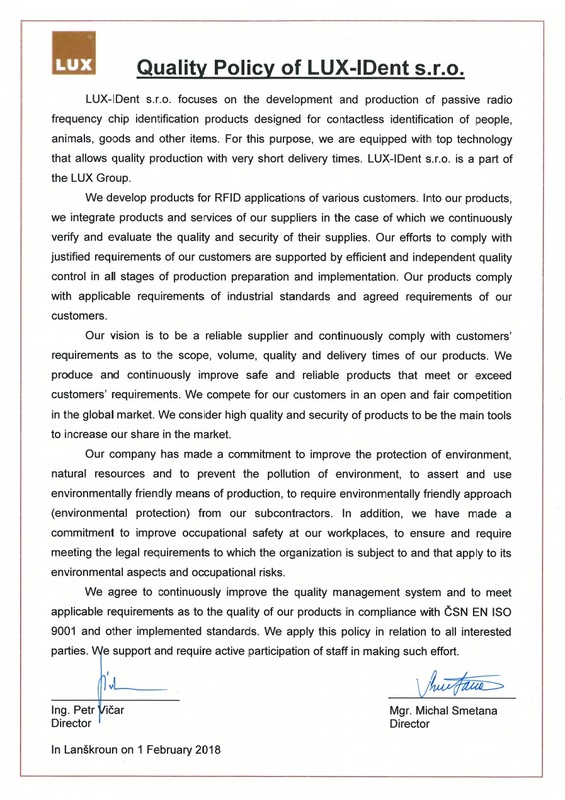 LUX-IDent is an ISO 9001: 2016 certified company and consistently provides products that meet applicable quality and security regulatory requirements. 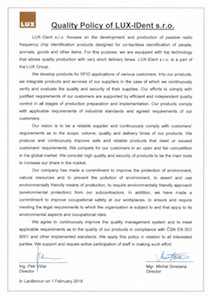 All our producs conform to Directive 2011/65/EU relating to the restriction of hazardous substances (RoHS). LUX-IDent s.r.o. is committed to providing products and services that are environmentally friendly throughout the entire production process and the product life cycle. LUX-IDent was awarded “MIFARE Advanced Partner” by NXP in June 2015. Our latest achievement was the 3rd place in the competition “Vodafone Company of the year 2015 in Pardubice region”. This business competion is one of the most prestigious in the Czech Republic and is regularly organized by the leading Czech business daily journal “Hospodářské noviny”. LUX-IDent s.r.o. 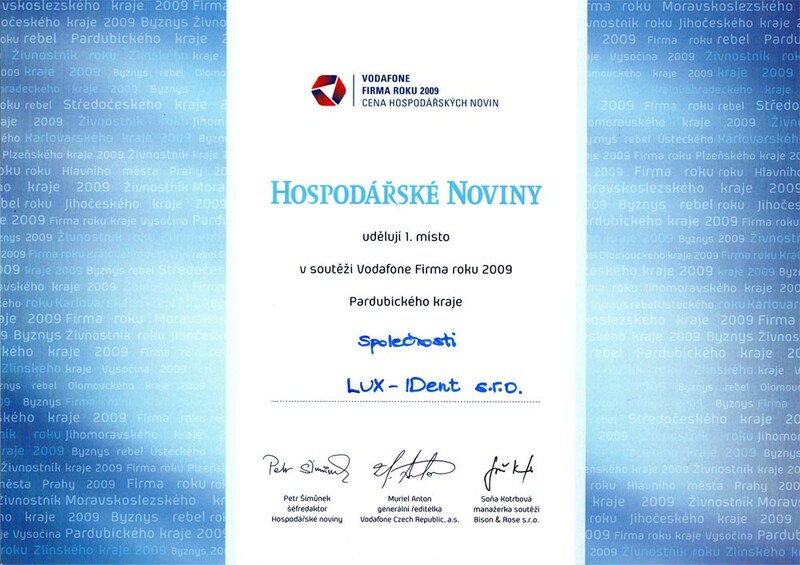 was awarded the title “Company of the year in Pardubice region” twice in a row in 2008 and 2009. 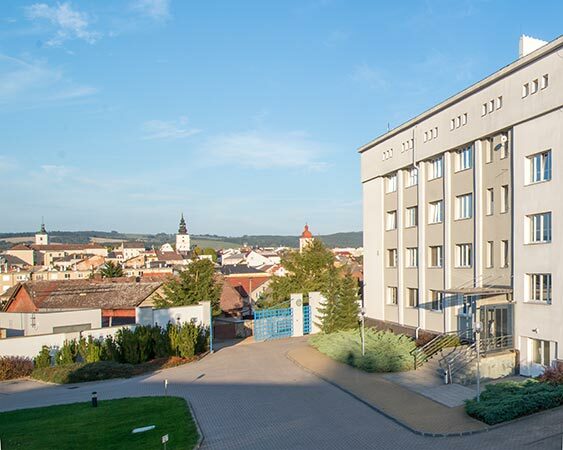 This business competion is one of the most prestigious in the Czech Republic and is regularly organized by the leading Czech business daily journal “Hospodářské noviny”. 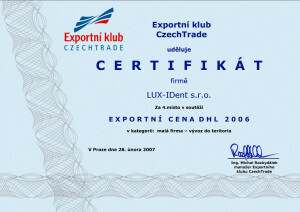 LUX-IDent was awarded with a 4th place in the Export Prize DHL 2006 in the category “Small company”. DHL Express (Czech Republic) in cooperation with state agency Czechtrade honours small and medium size companies in the Czech Republic and the idea is to show the impact of these companies for the Czech economy. LUX-IDent works closely with well known brands within the semiconductor industry. 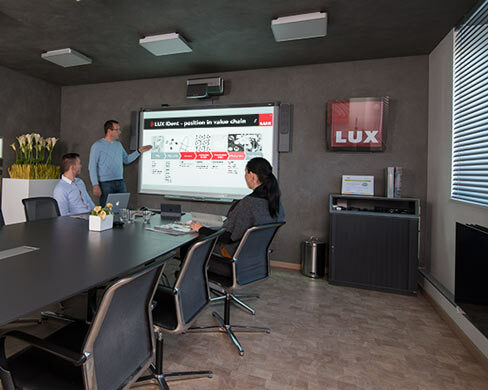 Keeping in regular contact with chip manufacturers and our clients allows us to react proactively in anticipation of forthcoming product upgrades, updating our clients about current issues and the latest industry innovations and helping them to complete an effortless, trouble free transition as required. LUX-IDent, s.r.o. 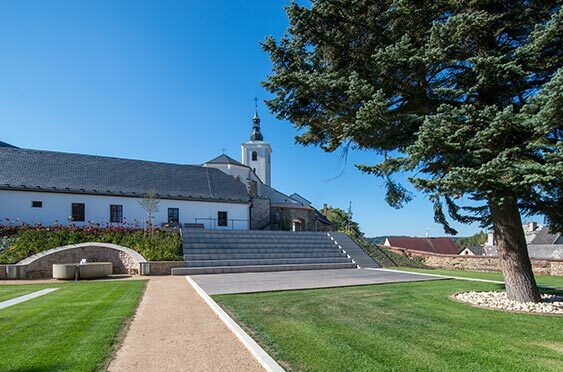 supplied prelaminated inlays incorporating RFID technology MIFARE® DESFire® 4kB to Státní Tiskárna cenin, s.p. (www.stc.cz). The company used the inlays for producing more than 600,000 pieces of railcards. The were issued, distributed and administered by České dráhy (www.cd.cz), intended for the customers of the railway company to be used as a medium for carrying train tickets and discounts. LUX-IDent supplied pre-laminated inlays incorporating RFID technology MIFARE® Classic 1kB to Blackcard s. r. o. (www.blackcard.cz). This company used the inlays for producing more than 100,000 pieces of the Multifunctional City Card for the city of Plzeň. The cards are used as a prepaid fare or public transport tickets and also incorporate an e-wallet for payments such as buying entrance tickets. (www.plzenskakarta.cz). 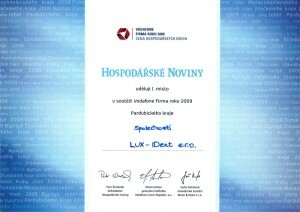 LUX-IDent supplied pre-laminated inlays incorporating RFID technology MIFARE® Classic 1kB to Státní tiskárna cenin, s.p. (www.stc.cz). 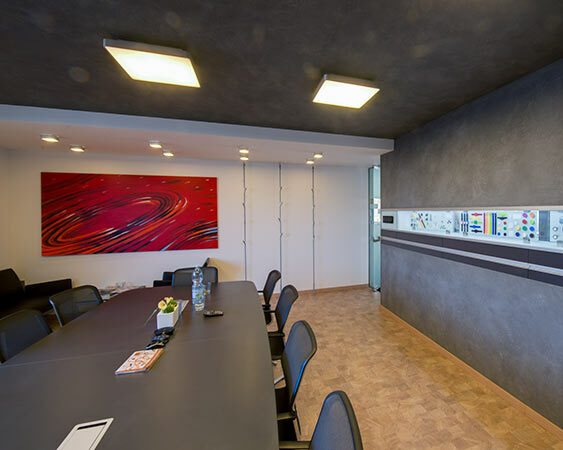 This company used the inlays for producing more than 80,000 pieces of the City Card for the city of Košice. These were administered and distributed by Dopravný podnik mesta Košice (www.dpmk.sk). The cards have many purposes including being used either as a prepaid fare or public transport ticket which can be purchased through a reader placed in public transport vehicles. The card entitles its owner to a variety of discounts for selected services for example entrance fees to museums, art galleries, libraries and the ZOO. Visit us at RFID Journal LIVE! at booth no. 384.